Live like a local and make the most of your days ashore with cruise itineraries that stay in port overnight. There are cruise holidays, and then there are inclusive cruise holidays. There are port calls and then there are overnight stays. Saga Cruises has them all – and is stepping up the quality even further in 2018. The over-50s travel specialist is working even harder to add to the experience of cruising on its two comfortable ships, Saga Sapphire and Saga Pearl II. Head cruise planner James Langley has scoured the atlas and the guide books to choose the best ports in which to linger longer, and for passengers to absorb the full flavour of an enchanting destination. “One of the best things about cruising is seeing so many different destinations on one holiday, without having to keep unpacking. We design every cruise to reveal the sights in comfort, with a range of extras included in the price,” says Langley. More overnight moorings mean opportunities to stay ashore later into the night – perhaps to enjoy a night out at the theatre or at a top restaurant – without having to rush back to the ship, or run the risk of missing its departure. And as well as entertainment ashore, an overnight stay provides an opportunity for local entertainers – often folkloric musicians and dancers – to come on board to present their own show. From Saga Cruises’ varied programme of 2018 itineraries, we have selected our own Top 10. As an extra bonus, you can claim discounts of up to £300 per person when booking ANY Saga cruise up to December 31, 2018. Simply quote ref: WOC88 to qualify for £100 off any cruise of six to 10 nights; £150 off 11-15 nights; £200 off 16-21 nights, and £300 off any cruise of 22 nights or more. Two weeks after Easter, Seville puts on a spectacular party for its April Fiesta. Horses and carriages parade each afternoon and evening, the locals dress in their finest costumes, and there’s flamenco dancing everywhere. Tasty treats of Iberico ham are washed down with a fiery mix of sherry and 7-Up – which tastes better than it sounds. 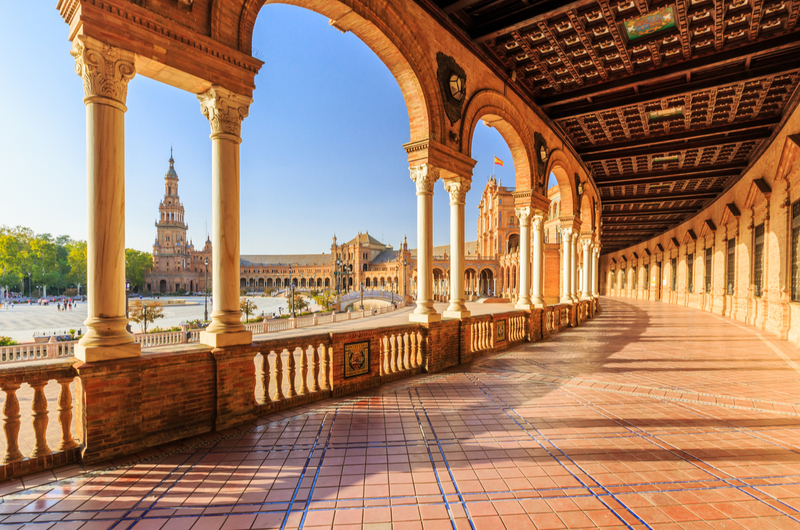 On Saga Pearl II’s Fiestas and Fireworks Cruise, passengers spend a night in Seville to join in the fun, while on board there will be flamenco classes, Spanish lessons, and tapas tastings. April 16, 2018. 12 nights on Saga Pearl II from Portsmouth to Leixoes (for Oporto); Seville (overnight); Portimao, Portugal; Vigo, Spain; Aviles, Spain. £2,322 per person, for two sharing. 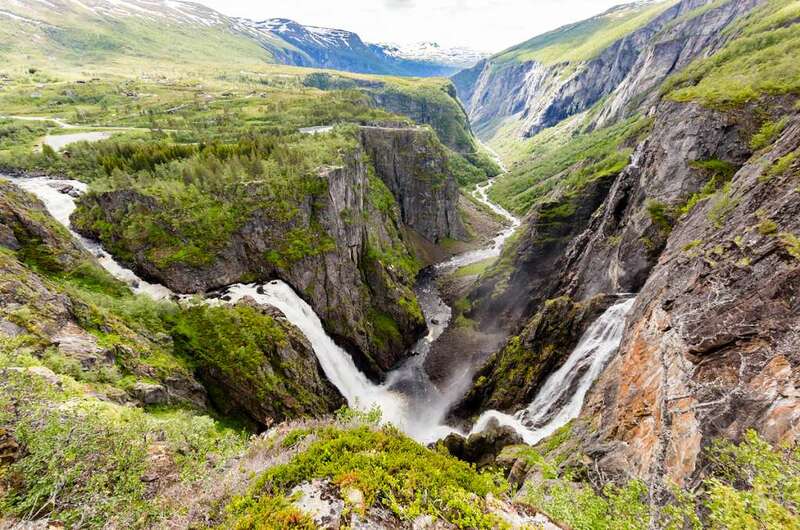 At the head of a branch of Hardangerfjord, which at 111 miles is the fourth-longest fjord in the world, the village of Eidfjord has become a popular cruise port of call thanks to its proximity to Europe’s largest mountain wilderness and the impressive Voringfossen waterfall. It also plays host to an annual music festival, and passengers will be entertained by top class musicians at a spectacular fjord-side setting. The day the ship is in Haugesund promises to be memorable, as residents celebrate Constitution Day with parades and parties. May 15, 2018. Seven nights on Saga Pearl II from Dover to Haugesund, Stavanger, and an overnight stop in Eidfjord. From £1,361 per person based on two sharing. Cruising north of the Arctic Circle at midsummer guarantees endless hours of daylight – the sun just never sets, and it’s a cause for wonder and celebration no matter how many times you experience it. On Saga Sapphire’s Adventure to the North Cape, passengers will not only be able to enjoy the phenomenon, they will also learn to cruise like a Viking, with a programme of lectures and exhibitions on board. An excursion by fast inflatable boat during a call at the port of Bodo also provides an opportunity to spot the magnificent white-tailed sea eagles, among the largest birds of prey in Europe. June 24, 2018. 15 nights on Saga Sapphire from Dover to Lerwick, Shetland Islands; Tromso, Hammerfest. Honningsvag, Cruising the North Cape, Bodo, and Seydisfjordur, Iceland. From £3,595 per person based on two sharing. 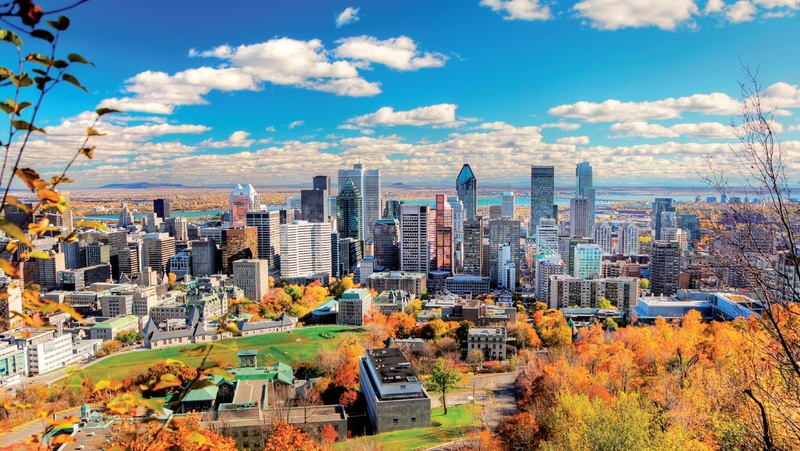 See the rich autumnal colours of Canada’s Atlantic coast and enjoy overnight stops in Halifax, Montreal, and Quebec during this 28-night transatlantic round-trip on board Saga Sapphire. Painting classes on board will help budding artists create their own watercolour memories of the season. Halifax has a rich maritime history including a museum dedicated to the Titanic and a cemetery where many of the victims were buried. September 21, 2018. 28 nights on Saga Sapphire from Dover to Ponta Delgada, The Azores; Halifax, Nova Scotia (overnight); Sydney; Havre-Saint-Pierre; Quebec (overnight); Montreal (overnight); Gaspe; St Johns, Newfoundland. Fares from £6,276 per person based on two sharing. Get on point for a ballet performance in St-Petersburg. Ballet-themed classes also will be available on board. An overnight stay in the remarkable city of St Petersburg is an essential part of any cruise to the Baltic. 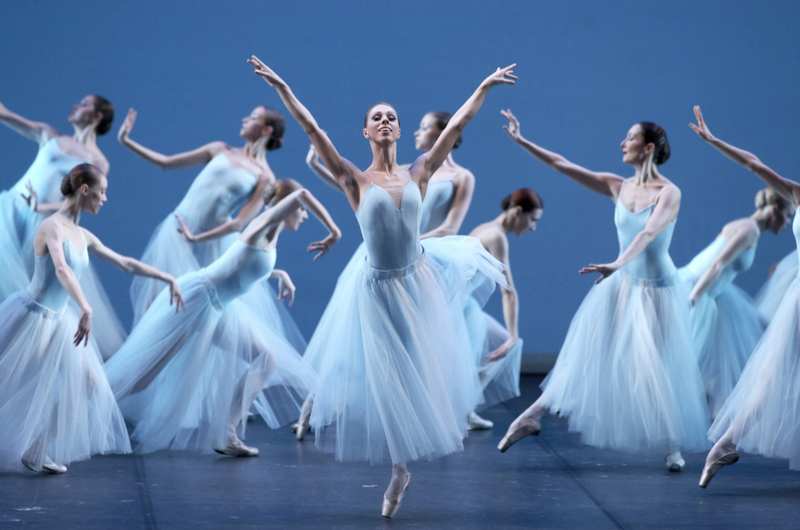 Saga make it special with the choice of a musical soiree and private tour of the Hermitage Museum, or a night at the ballet. On board ship, ballet-themed exercise classes will be available for those inspired by their night out, and dancer Wayne Sleep will join the resident entertainers. The cruise also offers an opportunity to unravel the history of the region’s Hanseatic ports, and there’s a maiden call to the Finnish island of Kotka. May 22, 2018. 14-night cruise on Saga Pearl II from Dover to Gdansk, Poland; Tallinn, Estonia; St Petersburg, Russia; Kotka, Finland; Visby, Sweden; Karlskrona, Sweden; Kiel, Germany. Fares from £2,825 per person based on two sharing. Overnight stops in Oslo and Copenhagen will provide opportunities to enjoy Scandinavian nightlife and some of the finest restaurants in Europe. Tivoli Gardens, in the Danish capital, were the inspiration for Disneyland and continue to enthral young and old alike, 175 years after they first opened. There will be lively entertainment on board ship as well, with live music from the 1960s and 70s – the theme for the voyage. The outbound route passes through the busy Skagerrak strait to the north of Denmark, while the return is a scenic passage of the Kiel Canal. May 10, 2018. 10-nights on Saga Sapphire from Dover, to Oslo, Norway (overnight); Copenhagen, Denmark (overnight); Aarhus, Denmark, and Kiel, Germany. From £2,128 per person based on two sharing. Hard to resist the opportunity to taste some of France’s finest vintages, and to sample Margaux and Muscadet, cider and Cognac. Throw in an overnight stay in Bordeaux – at the centre of Europe’s finest wine-producing region – and the presence of renowned chef Jean-Christophe Novelli on board ship, and this itinerary is almost irresistible. It’s not all about food and drink, however – visit Carnac to see the its 3,000 standing stones, or take a full-day trip to Paris from the port of Le Havre. July 9, 2018. 10 nights on Saga Sapphire from Dover, to Lorient, Montoir (for St Nazaire); Bordeaux (overnight); La Rochelle; Le Havre. From £2,647 per person based on two sharing. 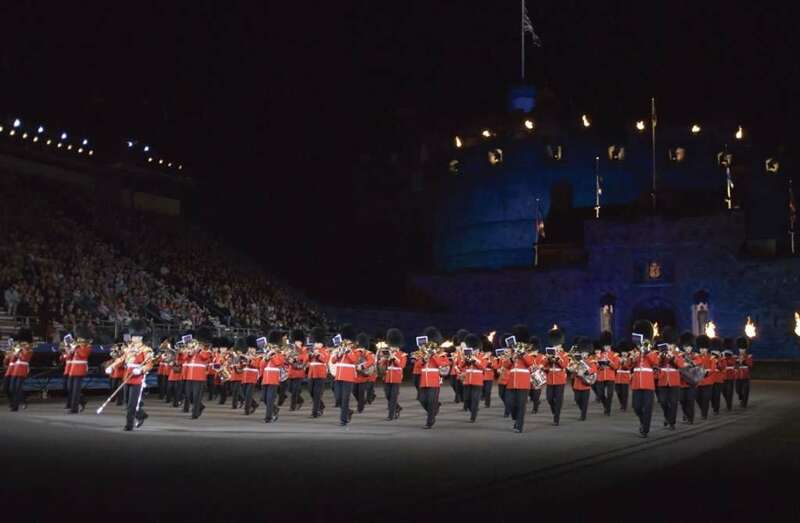 Not quite an overnight, but a departure at 11.30 pm will give guests ample time to enjoy the sights and sounds of the Edinburgh Festival and its military tattoo. The Fringe will be in full swing as the ship arrives in Scotland’s capital, and the visit coincides with the final tattoo performance of the year. There is an overnight stay in Newcastle-upon-Tyne, however; whether the intrepid Saganauts will be up for a night’s carousing in the Bigg Market is another matter. August 22, 2018. Five nights on Saga Sapphire from Dover to Newcastle-upon-Tyne and Leith. Fares from £976 per person based on two sharing. 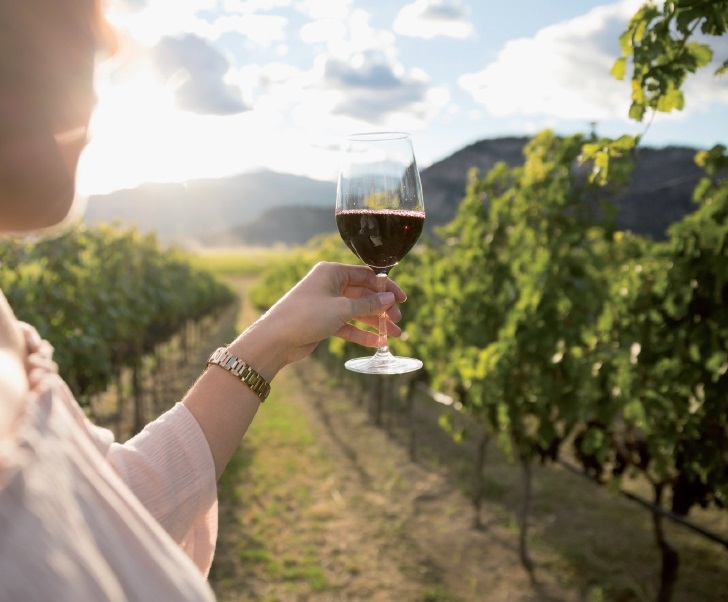 Test your palate with a sip or two of fine French or Spanish wine, learn about the business of viniculture, and taste all manner of delicious regional delicacies during this cruise to the south-west of France and the Basque country of northern Spain. On board, there will be cookery demonstrations and a food-themed shore excursion hosted by Spanish celebrity chef Omar Allibhoy, owner of the Tapas Revolution restaurants. Master of Wine Conal Gregory will also be on hand to offer expert advice. July 26, 2018. 11 nights on Saga Pearl II from Dover to La Rochelle, France; Bayonne, France; Gijon, Spain; Passajes, Spain; Bordeaux, France (overnight), St Nazaire, France. From £2,405 per person based on two sharing. Explore the classic ports of the Western Mediterranean during this 18-night cruise and you’ll probably find some of the answers to the question, “What did the Romans ever do for us?” And the ancient Greeks for that matter, for their influence spread far beyond Athens and the Aegean. There’s an overnight stop in bustling Barcelona, where history is being brought up to date as Gaudi’s masterpiece – the basilica of the Sagrada Familia grows closer to completion after decades of construction work. October 12, 2018. 18 nights on Saga Pearl II from Dover to Lisbon, Portugal; Barcelona, Spain (overnight); San Remo, Italy; Livorno (for Florence); Civitavecchia (for Rome); Cagliari, Sardinia; Gibraltar. Cruise terminates in Portsmouth. Fares from £3,076 per person based on two sharing.